Who would think to link a cheap pair of blue jeans at a local mall with a chemical spill near the Chinese city of Handan? It’s not likely that most consumers would give such a possibility a first thought, much less a second one. Yet that is exactly what happened recently, and NYU professor and author Dan Fagin wrote about the chemical spill that polluted the Zhouzhang River, Handan’s major water source. He also provides a brief history of how consumers and manufacturers add potential carcinogens to the cost of the goods we purchase. You can click here to read Fagin’s op-ed piece in its entirety. We live in a complex global society, and yet we are inextricably linked with our sisters and brothers around the world by something as simple as the fabric of the gloriously colored cheap jeans on the shelves of retailers at our malls and big box stores. 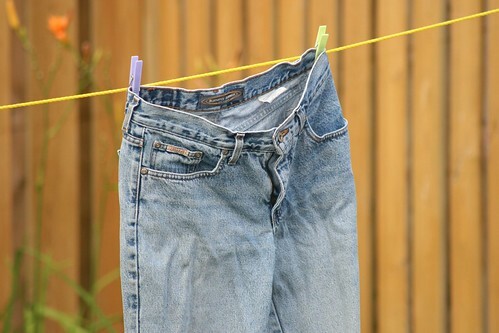 Someone’s health–perhaps even life–is a terrible price to pay for a pair of jeans that likely won’t last a couple of years. How in the world do consumers decide whether a purchase is sustainable and just? What premium should one expect to pay? How in the world can a consumer who lives on a fixed income or who struggles to put food on the table even begin to add these cost calculations to the shopping cart? These are good questions and fair ones to ask. Unfortunately, the answers are not simple ones either. 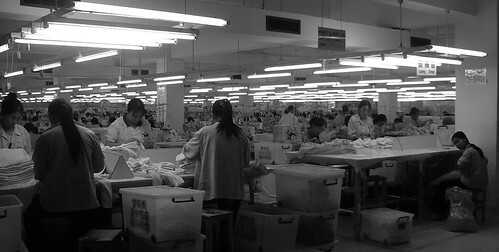 This factory in Dongguan pays workers US$2 per day, including mandatory overtime. By Chinese standards this is a good wage. Click here for a brief 2010 American Public Media Marketplace Business interview with Steve Chiotakas and Adrienne Hill about whether consumers will purchase sustainable fashion. According to Hill it’s tough to determine whether an article is truly sustainable fashion or a marketer’s green-washing. Sustainable fashion also faces the question of how to overcome its tree-hugger hippie-type image. All of us can make a difference by understanding the true price of the clothing we purchase. We can make informed decisions that reflect our values and lifestyle. We can raise awareness without being judgmental. We can share ideas and resources, and we can work for a better future for all people by thinking about the clothes we choose to wear. Think about your values. What motivates your purchases? What really matters to you? What core principles drive your life and decisions? Outline these values and principles and apply them to all future purchases. Ask yourself whether you really need a new item. Can you make do with what you have? Can you trade items with a friend or have a clothing swap party? Can you refashion an article of clothing into something “new”? Identify what role shopping plays in your life. Do you shop for recreation? Does shopping fill a need in your life? Do you simply enjoy the thrill of finding a bargain? 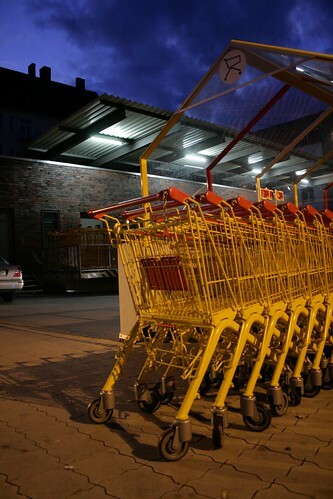 Do you only shop when absolutely necessary? Do you find the whole idea of shopping challenging? If you shop purely for recreation, think of other ways that can fill your time and your need for fun. Can you minimize your wardrobe to a few key mix and match items and bright accessories? Do you really need a walk-in closet full of garments, or a hundred pair of shoes? There is great joy and liberation in paring down your possessions to the things you actually use and love. Can you buy “new to you”? Check out vintage stores, consignment shops, thrift shops, and charity stores. You might find older items of better quality or gently used items at a greatly reduced price. This option helps keep new merchandise out of the consumer stream and ensures existing garments will continue to be useful. Virtually all of my shopping is done this way, and I’ve found some amazing articles of clothing that I could never afford (nor would purchase) new. If you must buy new, are you willing to do the difficult work of researching and paying the extra cost for sustainable, fairly traded items? Are you willing to buck consumer trends and high fashion vision for comfort and clarity of mind and purpose? Check out companies like People Tree, Maggie’s Organics, Global Girlfriend, prAna, who are among a new breed of manufacturers and producers striving to provide quality clothing that makes a difference. Are they perfect? No. Are they an improvement over other options? I believe so. Photos by lifecreations and Ed-meister. Thanks! It may seem to be a simple purchase–a cheap pair of jeans, an exotic or out-of-season fruit–but how many consumers really take the time to consider the far-reaching effects of a purchase? All “stuff” has a story, and not all stories are good ones. Hopefully, we can all be more aware of how, what, and why we consume and purchase what we do. How in the world does one begin? Dave Chameides of Care2.com offers the following list of questions consumers might wish to ask before making a purchase. He is unsure of the original author but felt it was definitely worth sharing with others, and I agree. Thirteen questions may seem like a lot to ask, but once you do it a few times you will automatically begin to think in these terms. In fact, you may not even be as tempted to make purchases. 1. Is this purchase something I need? 2. Do I already own something that will serve the same purpose? 3. Can I borrow one instead of buying new? 4. Can I make something that will serve the same purpose? 5. Can I buy a used one? 6. Would someone be willing to split the cost and share this with me? 7. Can I buy or commission one made locally? 8. Can I buy one that was made with environmentally responsible materials? 9. Can I buy one that serves more than one purpose? 10. Can I get something human powered instead of gas or electric? 11. Can I compost or recycle it when I’m done with it? 12. What is the impact on the environment of the full life cycle of it? 13. Does the manufacture or disposal of it damage the environment? For me, mindful consumption is part of what it means to love my neighbor as myself. Since all that I do has a potential impact on neighbors near and far, I must carefully consider the way I use my time, resources, and purchasing power. What questions do you ask before making a purchase and choosing to consume? How can we all be more mindful of our decisions and how they impact others? Check out The Story of Stuff by Annie Leonard. This short film is well worth watching and may just change your life (and the lives of many others). Photo by Coffee Core. Thanks!